Target is at least a game a week for the year. I say it every year and sometimes I even do it. This year I will be mostly advancing existing projects, finishing off what I’ve started and building new forces to provide opposition for armies that are already painted. 28mm Fantasy: I fancy painting a few fantasy models for my Dragon Rampant forces. And a few monsters or wizards to fantasize my historical Picts and Arthurian British. 15mm French Indian War: I’ve already got forces for French and British but there’s a load of unpainted British Light Infantry in a box in the study. I also need some more Infanterie de la Marine for my French. 15mm WWII: Paint up the load of Chain of Command support elements that sat in a box all of 2016. 10mm WWII (1940, Battle for France): Finish off my Germans, reinforce my British and start on a force of French. I don’t have enough painted scenery to run games with some forces I’ve already got painted. And I’m short of important elements for other periods (bocage hedges in 15mm). 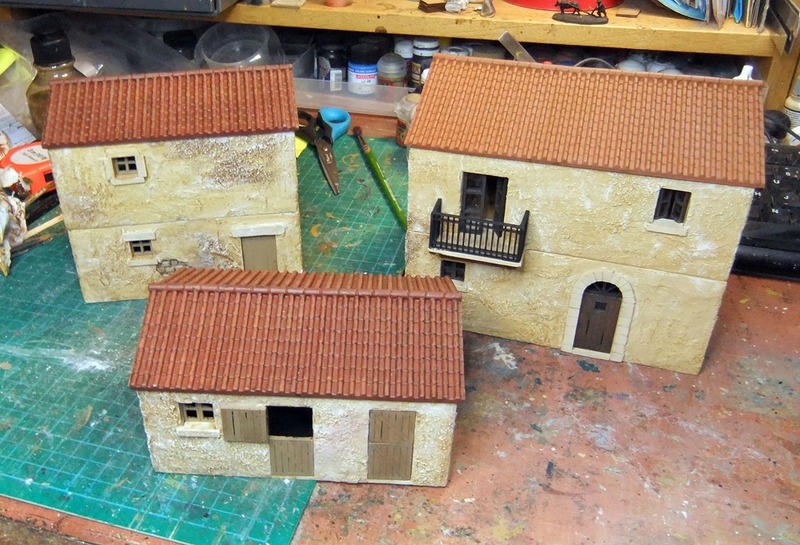 Plan is to address this problem in 2017 and I’ve got off to a good start by painting three 28mm Spanish buildings in the first week of the year. Perry Sailors and Marines (down the bottom of the page here). Released towards the end of last year these figures are really lovely and would make an interesting force for Sharp Practice. I’ve wanted to do some gaming with Napoleonic naval landing parties ever since I first read the Hornblower books about fifty years ago. Pony Wars: Baccus miniatures announced last January that they will be rereleasing the classic Pony Wars. I’ve always wanted to play these rules based on the classic cavalry movies form the 1950s and 60s. TooFatLardy Tank Game: In the week I’m writing this TooFatLardies have been trailing an as yet unnamed multiplayer tank skirmish game on Twitter. Each player commands a single AFV and from what I’ve heard and seen it looks like a lot of fun. This could easily lead to money being spent with the Plastic Soldier Company.